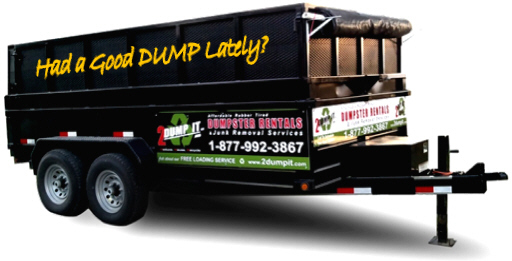 Dumpsters, Dumpster Rentals St. Louis and St. Charles County, MO. 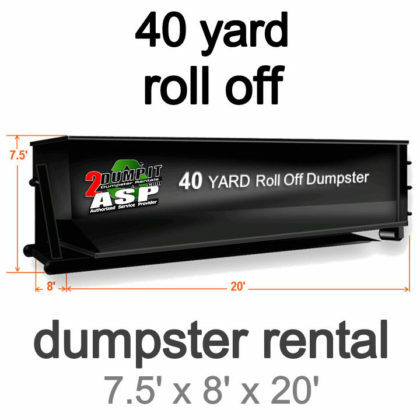 Specializing in Driveway Safe dumpsters. 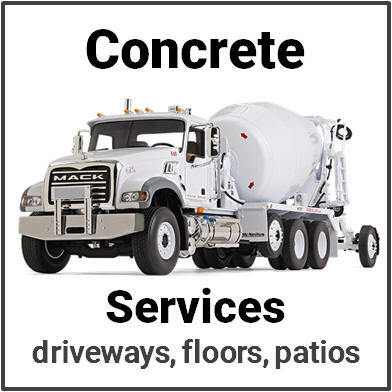 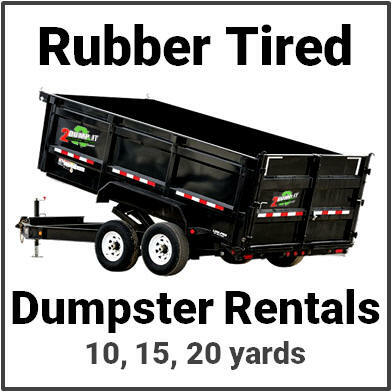 We rent roll off dumpsters, rubber tired dumpsters, roofing dumpsters. 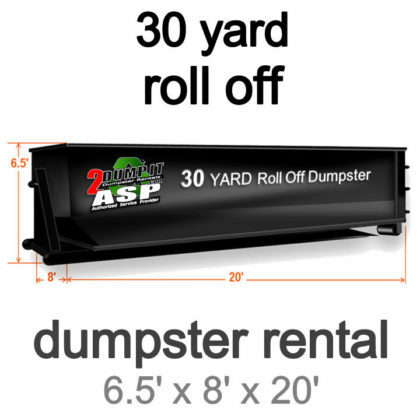 Schedule your dumpster rental today (636) 236-8510. 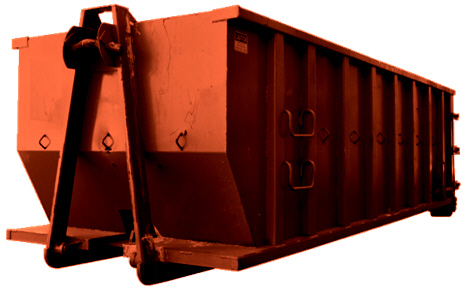 Find St. Louis, MO dumpster prices, dumpster sizes here on this page. 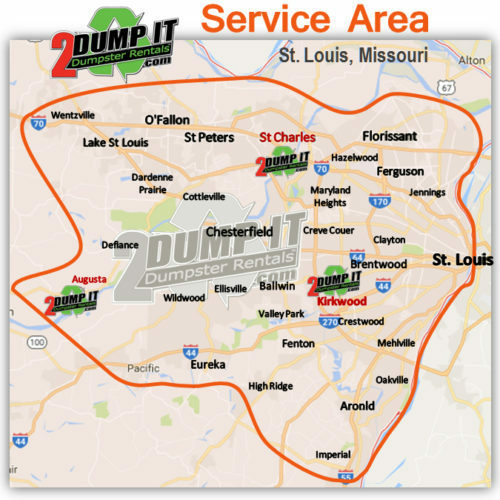 2 DUMP IT™ Dumpster Rental St. Louis, Missouri. 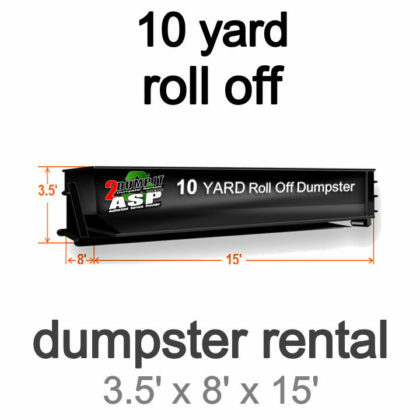 is the largest local family owned dumpster company specializing in both 10, 15 and 20 yard “DRIVEWAY SAFE” Rubber Tired Dumpster Rentals and 10, 20, 30 and 40 yard Roll Off Dumpster Rentals. 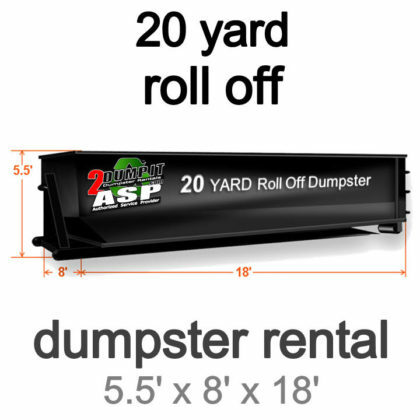 We provide affordable household junk, construction debris (C&D), remodeling debris, shingle tear offs, trash and waste removal solutions using our 10, 20, 30 and 40 yard Roll-off Dumpsters, our 10, 15 and 20 yard Rubber Tired Dumpsters and our Roofing Dumpsters. 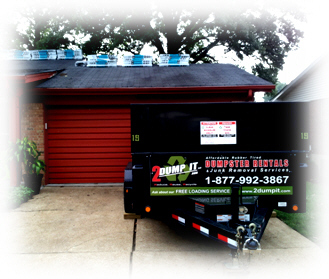 We understand that dumpsters are not a “One Size Fits All” solution for many of our customers. 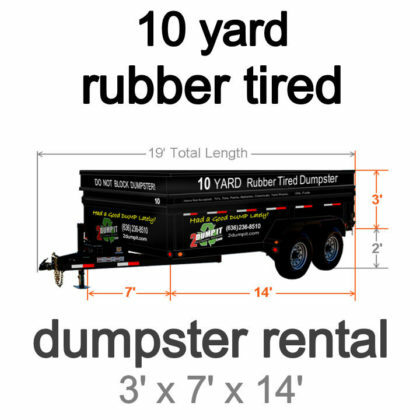 That’s why we offer both Rubber Tired Dumpsters and Roll Off Dumpsters to our customers here in St. Louis Missouri. 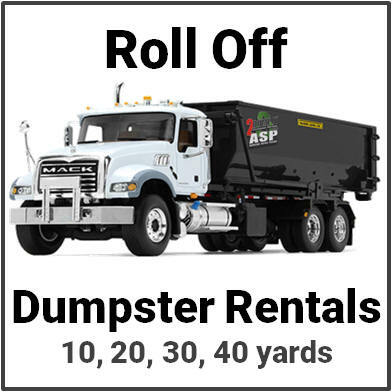 Some customers need short term dumpster rentals that do not require permits, while others need a week or longer to complete a project. 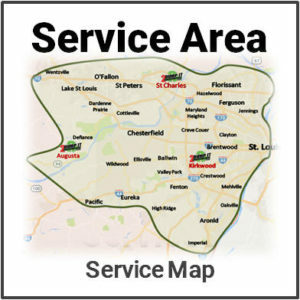 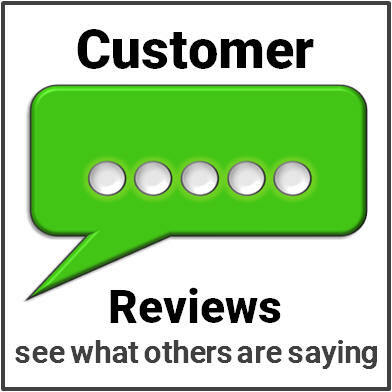 Before you start calling around, you can rest assured that you are getting the best prices and quality service from a company who takes great pride in Customer Service. 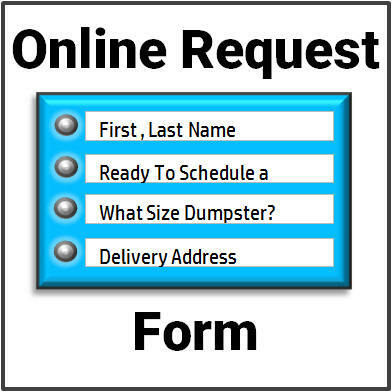 Call us now and let us prove it! 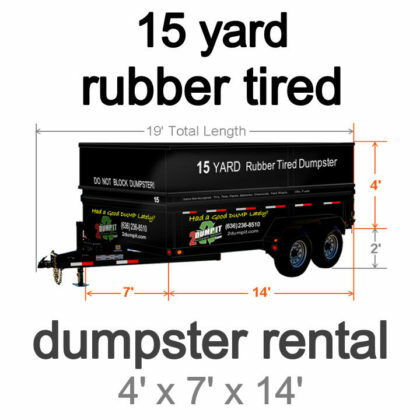 Roofing Dumpster Rental: Rates based on total roofing layers and squares. 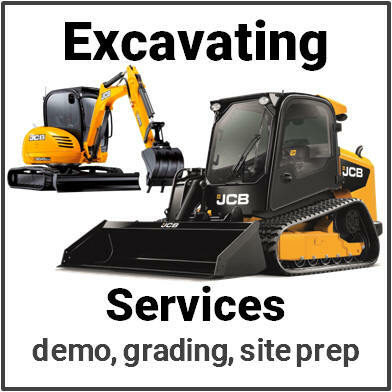 or are you looking to Rent Heavy Equipment for your project? 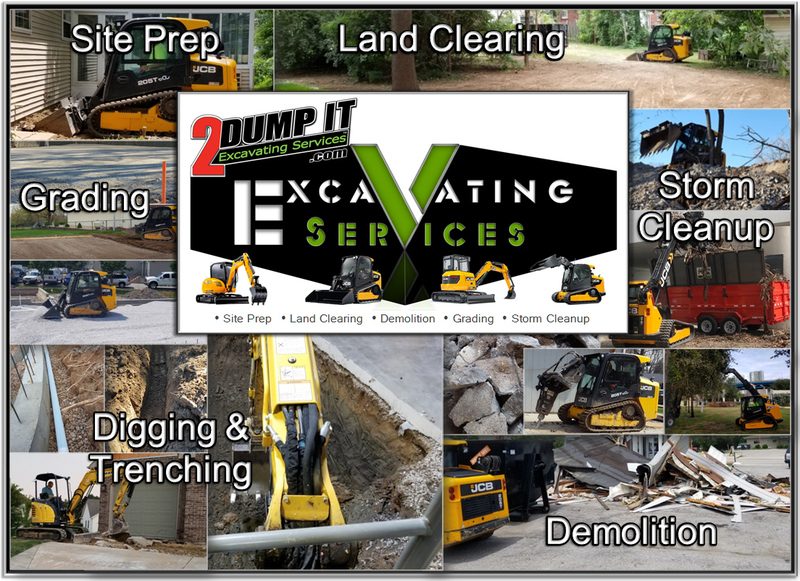 2 DUMP IT™ Excavating Services than renting equipment. 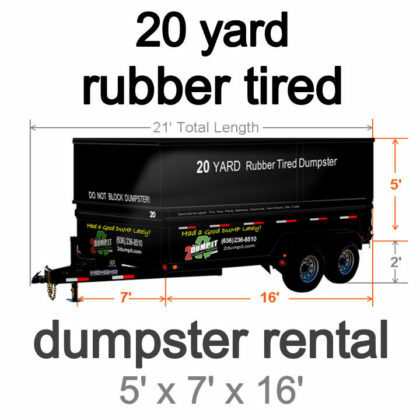 Watch this short video if you want to learn more about our NO DAMAGE to DRIVE Rubber Tired Dumpsters.